On behalf of Admin of JML Law, A Professional Law Corporation posted in Wage Fraud on Tuesday, Aug 28 2018. Wage theft is a pervasive problem that the State of California is aggressively trying to combat. When employees are hired, there is usually an understanding of the amount and type of employee compensation (e.g. set amount of money per hour plus tips) and what benefits are included with employment such as health insurance and 401k. 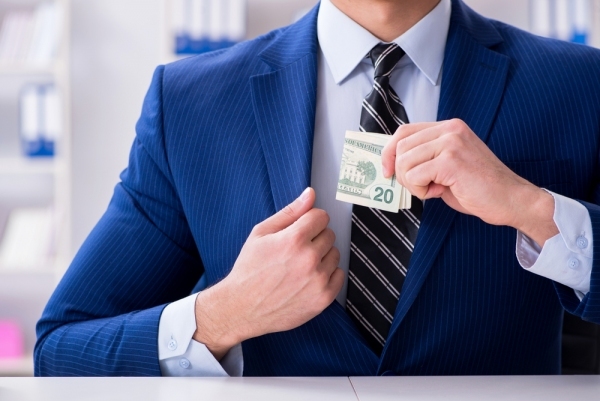 Employers exercise wage theft in a multitude of ways resulting in employers misappropriating monies that should have gone to employees and/or the government. Employees making less than minimum wage. California has created and continues to strengthen wage laws to protect employees. In order to be sure that an employee’s compensation expectations are in line with what the employer actually pays him or her, state law requires employers to give notice to employees, in writing, that spells out specific compensation details such as rate(s) of pay, designated pay day, employer’s intent to claim allowances as part of the minimum wage, and the basis of wage payment (pay by hour, shift, day, week, piece, etc. ), and overtime pay specifics. Additionally, these notices are required to be in the language that the employer normally uses to communicate employment-related information to the employee. California also imposes penalties on employers who voluntarily and knowingly misclassify employees as independent contractors. When employees are misclassified as independent contractors, they are not protected by some of California’s wage laws such as minimum wage and health insurance requirements. Other protections that do not cover independent contractors include workers’ compensation coverage, unemployment insurance, and family leave rights. There are many other employee protections that employers can avoid by misclassifying their employees as independent contractors, which results in saving employers money while hurting both employees and the government. Additionally, the minimum wage in California is NOT $7.25 per hour and don’t let an employer tell you it is. The federal minimum wage is $7.25 per hour, but California’s 2018 minimum wage is $10.50 per hour for employers with 25 or less employees and $11.00 per hour for employers with 26 or more employees. The Economic Policy Institute estimates that workers in the State of California lose up to 2 billion dollars per year due to wage fraud. California wage laws and efforts to combat wage theft are working to protect you and your income. Recent cases have reached millions of dollars in settlements and fines against employers engaged in wage theft practices. If you believe you may be a victim of wage theft, contact our Los Angeles wage fraud attorney, to see what legal options you may have for wage theft recovery. Wage theft jeopardizes your livelihood and you deserve to be compensated for your damages.